April1, 2019 — Connie Lipp Pritchett's husband, Hubert Harvy Pritchett (LHS Class of '55), passed away March 30, 2019 at Lawrence Memorial Hospital. HERE for his obituary. Feb. 9, 2019 — Bill Hodge (LHS Class of '58), husband of Kay Franz Hodge passed away this morning. HERE for Bill's obituary from the Journal World. Sept. 16, 2014 — We just celebrated our 55th High School Reunion and many were taking photos! To share your photos send via email to ruth@humphreyfam.com. Oct. 17, 2018 — Condolences to Mary Hammig whose sister-in-law, Jeri Hammig, died Friday, Oct. 5. HERE for her obituary. Nov. 1, 2016 — Shirley Grammer Harris' brother Darrell passed away Oct. 28, 2016 in Baldwin. HERE for his obituary. Nov./Dec., 2014 — Vida Ingerson Death's stepson, Byron, passed away Nov. 1 in their home in Eudora. HERE for his obituary. Vida's brother, Kenny, died Dec. 11, 2014. He had been ill for a long time and the the family knew his death was coming. HERE for his obituary. Nov. 2, 2014 — Janet Burnett-Huchingson's 17-year-old grandson, Devin Andre Wolfe, died Oct. 21, 2014. HERE for his obituary. July 15, 2014 — Judy Demos Crossfield writes: My son-in-law, Hiram Salvini, passed away July 4th. He was given his ALS diagnosis just as we were having our 50th reunion. Here it is almost 5 years later. So many people ask about him. HERE for his obit on the Rumsey-Yost Website. Janice Deatheridge Stumpfhauser in the death of her husband, Laszlo, Feb. 28, 2014. HERE for his obituary. Karron June Schwarz in the death of her father, Raymond June, who died March 14, 2014. HERE for his obituary. His obituary brought to our attention the death of Karron's husband, Kenneth Schwarz, who passed away March 31, 2012. HERE for his obituary. Fred Adamson in the death of his older brother Jim, who died February 4, 2013. HERE for the obituary. Tony Estelle in the death of his brother, Kenneth, January 21, 2013. HERE for the obituary. Jim Freeman in the death of his wife, Carolyn Mae Freeman, who passed away Oct. 31, 2012. Robert Wilson in the death of his brother, Bill Wilson, who passed away Sept. 5, 2012. Don Broyles in the death of his brother, Homer Lee 'Bob' Broyles, on Aug. 28, 2012. Raybert Thornton, Jr., in the death of his father Raybert H. Thornton, Sr., on May 25, 2012, in Lawrence. Sherri Dobbins Milsap in the death of her mother, Betty Dobbins, who died Feb. 29, 2012, at Lawrence Memorial Hospital..
Janice Stewart Houk in the death of her father, Robert Stewart who died Feb. 8, 2012.. He also was Sandra Hick Stewart's father-in-law. Janet Burnett Huchingson in the death of her father, Gene Burnett, who died June 15, 2011. Jim Riley in the death of his mother Pauline Ikenberry Riley. Ingrid Vosper McCarroll in the death of her mother Loraine Gjording Vosper. Linda Norris Kohlman in the death of her son, Bradley Kohlman, who died April 25, 2011. There will be a service in Lawrence, but that date hasn't been announced. Jim Freeman in the death of his father, Glen E. Freeman Sr, who died Jan. 25, 2011. Helen Chavez Martinez in the death of her daughter-in-law, Teresa Martinez, who died Jan. 19, 2011. Helen Chavez Martinez in the death of her brother Trinidad Chavez who died Dec. 20, 2010. Nancy Stone Adair in the death of her grandson Matthew Scout Adair of Topeka, Nov. 15, 2010. 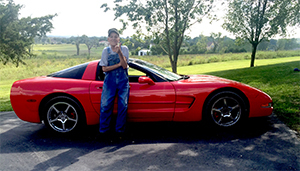 Marty Evans Bragg in the death of her brother David Evans of Lawrence, Oct. 28, 2010. Freida Kimbal Green in the death of her mother, Evelyn Kimball, Aug. 22, 2010, in Lawrence. Jim (Bosze) Rainwater in the death of his father William Bosze June 24, 2010. Jim Freeman in the death of his mother Margaret Freeman May 27, 2010. Helen Chavez Martinez in the death of her brother Ralph Chavez May 16, 2010. Rob Remple in the death of his father Henry D. Remple April 9, 2010. Gary Cooper in the death of his brother Fred Cooper, Feb. 22, 2010, in Lawrence. Steve Robb in the death of his mother, Martha Louise Robb, Feb. 20, 2010. 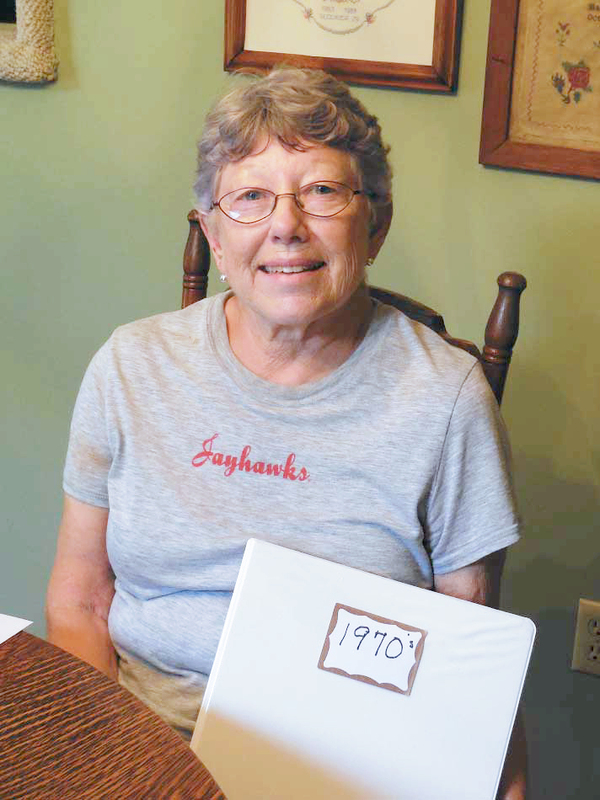 Barbara Ludvicek Penning in the death of her brother, Francis (class of 1957), who died Nov. 22, 2009 in Wichita. Freida Kimball Green in the death of her son, Ryan “Quick” Green, Dec. 8, 2009, in Lawrence. Connie Lipp Prichett in the death of her daughter, Deborah Prentice, who died Oct. 10, 2009. Shirley Grammer Harris in the death of her husband, Milton, who died Sept. 22, 2009. Condolences of spouses, siblings and children can be posted if notices are sent to ruth@humphreyfam.com. 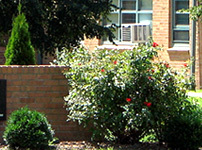 Class member addresses can be found in the 50th Reunion Book. If you need a copy of the book send an email to Lawrencehigh1959@aol.com. 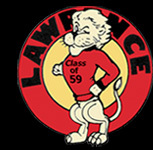 From your Facebook page search for the "Lawrence High School KS Class of 1959" page, open it and click on "Join". " Join" requests go to the Administrator who OKs the request. Members will be able to view messages posted to the page and will receive notifications when new posts--including Live Streaming--are posted. Update: I had another scan last Monday. When I went to see the doctor she was ectatic as after only 5 treatments most of the mass has disappeared. I still have to continue treatments. No prognosis as to how long. There is some scar tissue built up where the mass was, but may be removed surgically at sometime in the future. Louis McCorkle is undergoing chemo therapy for cancer. He lives in Charlotte, North Carolina. His E-mail address is santa1941@yahoo.com; his phone number is 703-393-2631. Some notes from people who sent in their regrets for our 55th reunion. From Rosemary Hines: "Sorry we couldn’t be there this weekend for the reunion … since I had chemo and Rad, I have a lot of problems with my hands and feet being numb and have some problems walking. And with the long trip we would have had to stop many times across Colorado and Kansas. We both do volunteer work at our Sr. Center in Brighton. In fact John got top award as a volunteer this past year. Very proud of him. We have 3 great granddaughters and a great grandson on the way. So tell everyone hello for both John and I." From Mary Dorsey Bashlor: "I would love to come see everybody, but circumstances will not allow it. Tell those who remember me, 'Hi'." 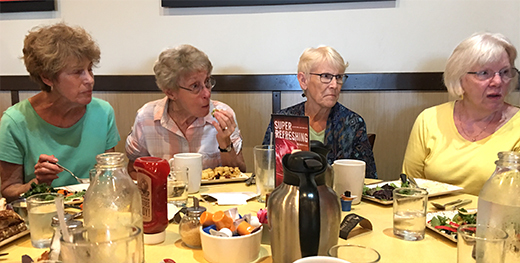 From Barbara Dunlap Huenermund: "Thank you for the information about the 'low key get together' of our class in September: sounds like fun and if I lived closer I definitely would try to come. As it is, however, I won’t be coming, but please say 'Hi' for me to those who are there. I’m sure you’ll have a great time visiting and catching up." From Linda Norris Kohlman: "The plans for the 55th (Oh My) sound great. I am so sorry that I will not be able to come back to be with all of you. I just can’t fit in another trip back in mid September with other commitments I have here in Colorado Springs." From Suellen Philipp Golke: "I will be in NYC with my granddaughter." From Marilyn Lehew Michael: "My husband and I will be attending his Navy Ship’s reunion that weekend and we will not be able to attend as we had already made our reservations for it. I hope you all have a great time. Sorry to miss. Tell everyone, "Hello". I do want to thank the committee for the effort to keep us all in contact." 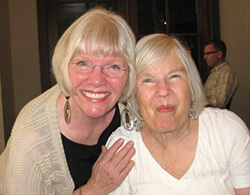 From Judy Griffith Ackers: “I regret that I could not be at the 12th & 13th of September event. But, I will be in KC for Christmas and hoping that we might get together for coffee. I would love that and so enjoy seeing and catching up with everyone." Above is the rural schoolhouse near our home that Ron’s mother, grandmother and aunts attended when they lived in the house we now live in, in the Clearfield area. Ron and I have been working for years to save this beautiful building. We’ve recently been given grants by Douglas County...HERE for more. Many of you may remember Marilyn Chamney Lee's family home and dairy farm west of KU. Family members came together this past week (Oct. 10-15, 2010) for a reunion at the old dairy farmstead, which was acquired by the Kansas University Endowment in 1963. HERE for the LJW article and videos. Joanne Okamoto Munger lives in Anchorage, Alaska not AK. Steve Robb lives in Pittsburg not Pittsburgh. * Obituaries listed. If you have information about classmates who have passed away, please send information to ruth@humphreyfam.com. Feb. 3, 2019 — Hello Classmates, 2019 is here — and you know what that means — 60 years since our graduation from LHS. A small committee has begun work on a reunion and hope you'll Save the Date — September 27, 28, 29. When we firm up venues, events and activities, we will send an announcement to you. If you would like to help with the planning, or help during the weekend itself, let us know. Also, if you have any suggestions for what you'd like for us to arrange, send an email to lawrencehigh1959@aol.com. Jan. 6, 2019 — From Mary Helen's son: It is with sadness I am sharing that my sweet sweet mama, Mary Helen Dorsey Bashlor passed away December 19, 2018. She was kind, giving and everything that is good about people. I witnessed and am in awe of her bravery, courage, and constant kindness these past few years as she struggled valiantly to do the simplest of tasks every day. She is now at peace. Dec. 10, 2018 — Jim Hoover died December 6, 2018. A Celebration of Life for Jim will be held at 11 a.m. Friday, Dec. 14, 2018 at Holy Family Catholic Church in Eudora. There will be a reception to follow the service at the church. Feb. 5, 2018 — I went to a PEO meeting in Whitefish, Mont. and, in the elevator to the meeting room, the PEO next to me asked me where I was from, and I said Lawrence Kansas. She said I “lived in Lawrence Kansas.” My uncle was the dean of the business school for many years and lived in Lawrence until he died. Frank Pinet. 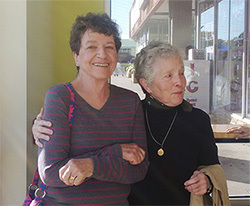 I said I went to school with Linda Pinet (photo left), and she said I am Linda!!! She was only in Lawrence for two years for eighth and ninth grade. Then they moved back to Ottawa where they were from and she graduated from Ottawa high school. 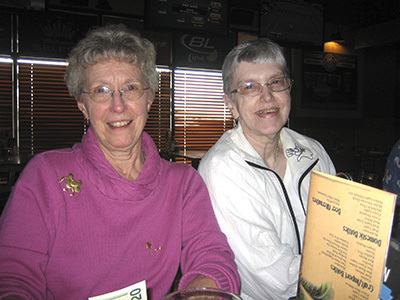 She was Initiated into her mother's chapter in 1962 and she went to Cottey College. She said her three cousins graduated from LHS. I remember only Chris, who died a couple of years ago but was a professor in Bozeman, Mont. and Amanda (Carolyn Shull Cater) knew him. She had trouble recalling any other classmates, so I threw out a few names. 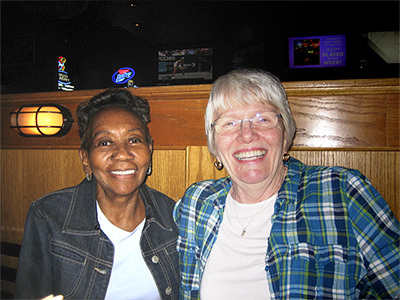 Then she said she remembered Jeannie Schultz and the one with the pony tail — Jeannie Wheeler. I told her when I got home I would look in my eighth and ninth grade yearbooks and send her some photos. 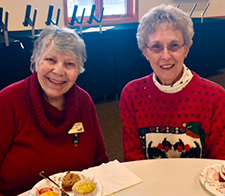 Pat Niemoeller Lay (photo right) lives in Buena Vista, Colo., but gets back to Lawrence about once a year or so because her mother still lives there. 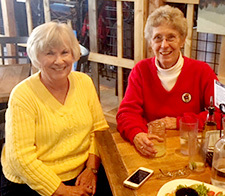 I had lunch with her last winter when I was skiing at Monarch Mountain near Salida, Colo.
Jan. 4, 2018 — JoAnne died Friday, Dec. 22, 2017, at St. Luke’s Hospital in Kansas City, Mo. Jan. 4, 2018 — Bob passed away Tuesday, December 19, 2017 at Shawnee Mission Medical Center in Merriam, KS. July 11, 2017 — Fred Adamson passed away July 10, 2017 in El Paso, Texas. Services were held July 11 at Perches Funeral Home West in El Paso. There also will be services in Easton, Kan. at the Catholic Church on 10th Street in Leavenworth at 10 a.m., Saturday, July 15. Our condolences to his wife, Elodia, son-in-law Gustava and daughters Sophia and Andrea. May 23, 2017 — Debbie [Grinstead] Beene has delivered well over 10,000 meals during the 45 years she has been a Lawrence Meals on Wheels volunteer. After two years of teaching fourth grade in Eudora, Debbie became a full-time wife, mother and volunteer. 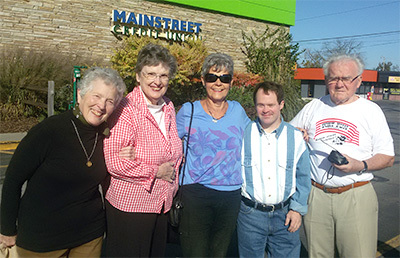 In addition to delivering meals to elderly and/or disabled individuals, she has served the organization as a multi-year board member and as president for three years simply because she “felt like there was a need to feed people.” As so often happens when one spouse becomes deeply involved with a volunteer cause, Debbie’s husband Daryl also became motivated to help, serving as the group’s treasurer for five years. He says that his wife “enjoys talking to people and stays involved. She still stays in contact with many people to whom she delivered meals many years ago.” HERE for the article from Amazing Aging! by Marsha Henry Goff Class of '56. 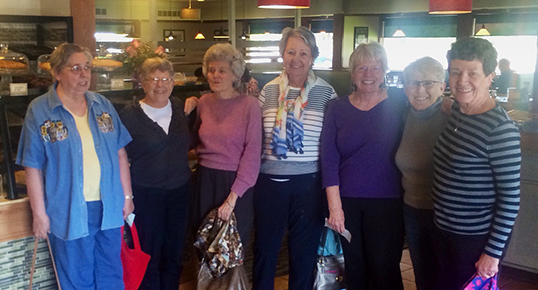 May 11, 2017 — Barbara Ludvicek Penning was in the area for her granddaughter's wedding: what better reason for a get together of the '59 Gals! Pictured above are Mary Kirby LaRue, Debbie Grinstead Beene, Julia Walker Magna, Barbara, Sherri Dobbins Millsap, Linda Garrett Wright and Sue Squires Midyett. 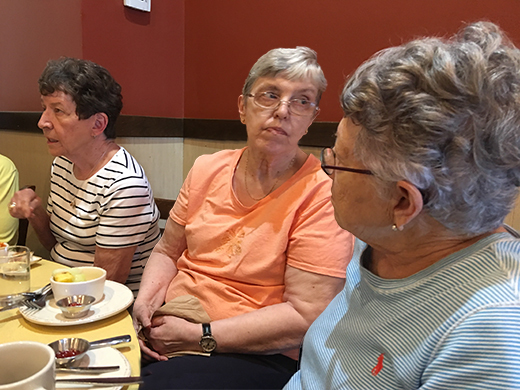 The LHS Gals met Oct. 18, 2016 at the Merc (9th and Iowa where Rusty's used to be) for coffee and talk. Barbara Dunlap Hünermund and family who were visiting from Germany made the event extra special. Below are some photos sent by Barbara's daughter Susanne Zimmerman of the gathering. Standing: Ruth Bramble Humphrey, Sherri Dobbins Millsap, Sue Squires Midyett, Barbara Dunlap Hünermund, Janet Burnett Huchingson, Mary Kirby LaRue, Julia Walker Magna. Seated: Kay Franz Hodge and Nancy Miller Reiling. Check out an article from the Lawrence Journal-World about Janet Burnett-Huchingson. Janet is working on a goal of walking along every street in the Lawrence city limits....Janet walks during the daytime hours when most of us are working, at school or taking care of other business. HERE for the article. A "special thank you" to Janet & Larry Schaake for hosting us at their place again! Below are photos from the Saturday night celebration of our graduation. Good food, good conversation and, oh yes, Levis—correction "Elvis"— did appear in gold lamé! 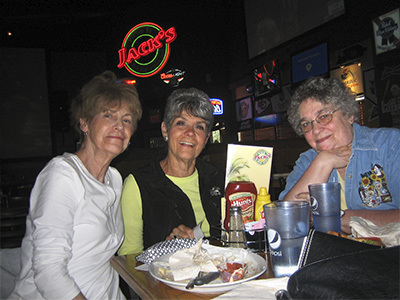 Sept. 13, 2014 — While we generally dislike encouraging rumors, we probably would be remiss if we failed to inform classmates of a whisper going round Johnny's Tavern last night at the LHS Class of '59ers Low Dive and Reprobate's crawl — namely , a possible second coming of Levis during the '59er's Punkin Patcher Pucker Fest out at Larry and Janet Schaake's place tonight. We can't really believe it either but we're not about to miss it just in case. See you there Saturday night! 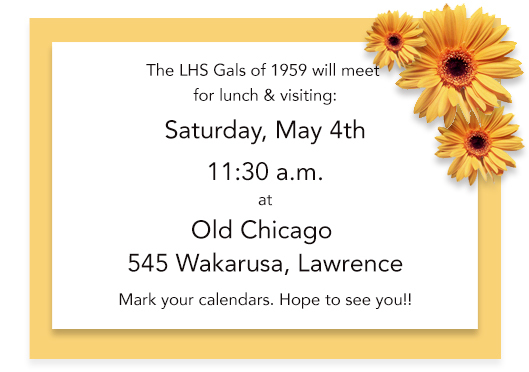 The time has come again for another get together ... the 55th celebration of our graduation from LHS! The weekend of Sept. 12 and 13 works for Lawrence this year as there is no KU football game that weekend which frees up motels. Watch for more news and how to register for the activities. Classmate Larry Dolifka passed away April 18, 2014, at Midland Hospice House, Topeka. Larry worked for the Union Pacific Railroad in Lawrence and for 49 years worked at Laird Noller Ford in Topeka. 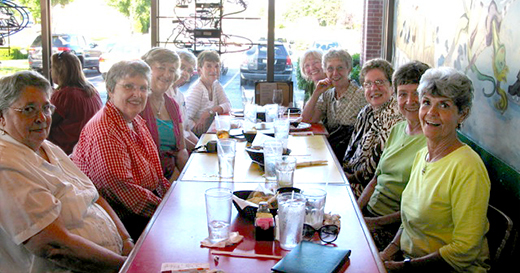 Members of the Class of '59 met July 14, 2013, at TEN (Eldridge Hotel) in Lawrence for their July gathering. Special guest was Ingrid Vosper McCarroll. 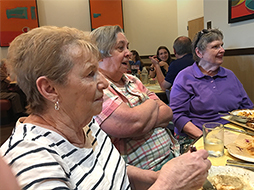 The KU library hosted a celebration for what would have been her father's 100th birthday on July 12. 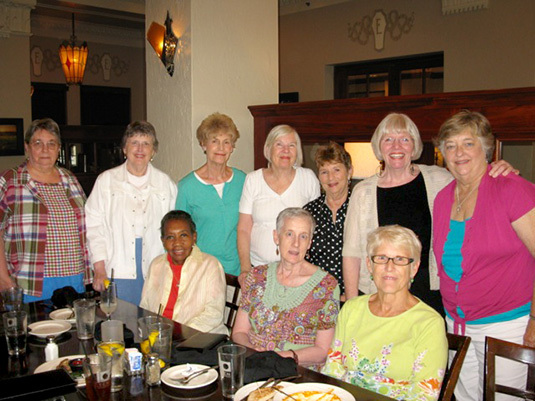 Back row from left: Mary Kirby LaRue, Nancy Vogel (Class of '58), Mary Hammig, Ingrid Vosper McCarroll, Judy Demos Crossfield, Sherri Dobbins Milsap and Nancy Miller Reiling. Front row: Joanne Waters Mitchell, Genia Wilson and Linda Garrett Wright. 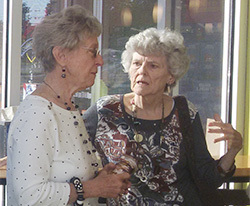 Nancy Stone Adair attended our June 17, 2013, gathering at Salty Iguana in Lawrence. 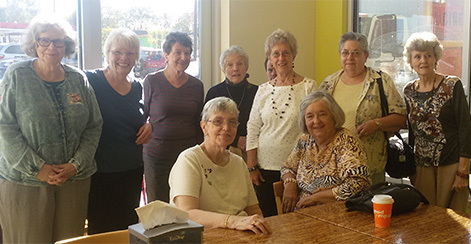 Above from left: Mary Kirby LaRue, Nancy Vogel, Nancy Miller Reiling, Kay Franz Hodge, Judy Demos Crossfield, Sherri Dobbins Milsap, Janet Burnett Hutchingson, Nancy Stone Adair, Sue Squires Midyett and Karen Stuart Heeb. 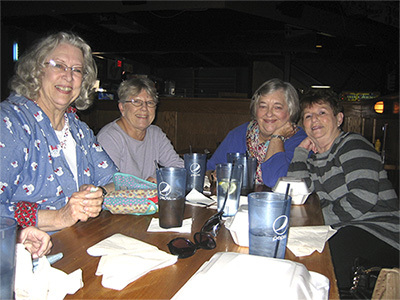 Several classmates who attended the 50th Reunion are sharing their photos. It will take several days to get all the photos up on the Web site. I've decided to go ahead and post the photos without the captions (which I will add later). Thanks to the following for sending their photos: Fred and Elodia Adamson, Janet Burnett Huchingson, Marilyn Chamney Lee, Alan and Janet Hardtarfer, John and Rosemary Hamilton Hines, Ida Johnson Jeppersen, Barbara Ludvicek Penning, Nancy Miller Reiling, Katy Wright Young and Kathy Harley (Mary Helen Dorsey Bashlor's sister). 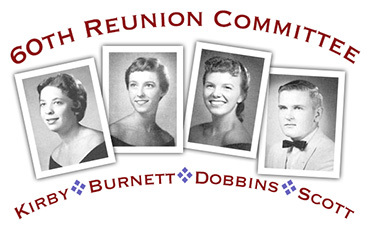 If you have photos from the reunion that you would like to share on the Web site please send to Ruth Bramble Humphrey at ruth@humphreyfam.com. The official reunion photos are available. Large-format photos to copy are available along with a key to identify who's who in the photos. HERE for the key to who's who and a link to larger photos. Eighty-four classmates are shown in the above photos — too many for one photo!